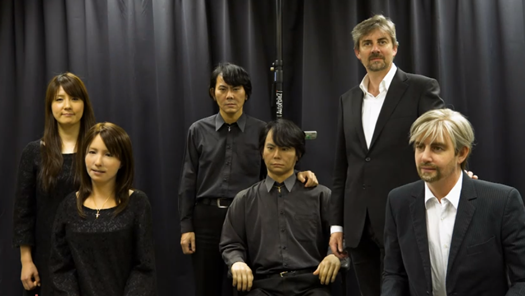 Three (frighteningly) realistic robots come face-to-face with their human twins | UNBELIEVABLE! ← How the LHC works – demonstrated with mince pies. Imagine if scientists built a humanoid robot that looked just like you. Now imagine meeting that robot, sitting down with it, and spending some time getting to know it. Would that be weird, or would that be … really weird? Three people were able to have that slightly surreal experience last month, as the Advanced Telecommunications Research Institute hosted a “Geminoid summit” in Nara, Japan. Below is the video of the meeting. The people didn’t really have an in-depth conversation with the robots – or each other, come to that. It consisted mainly of them giggling, slightly in awe, but mostly because the meeting must have felt so strange and eerie. And who can blame them? Posted on April 5, 2011, in Technology and tagged Androids, Geminoids, Robots, Technology. Bookmark the permalink. Leave a comment.